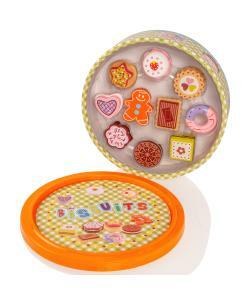 10 individually handpainted wooden biscuits in a classic round biscuit box. 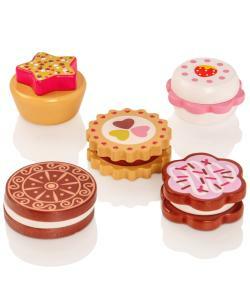 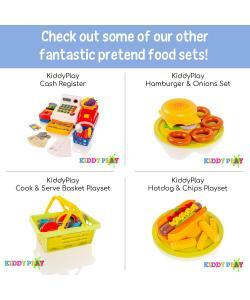 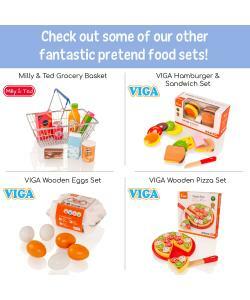 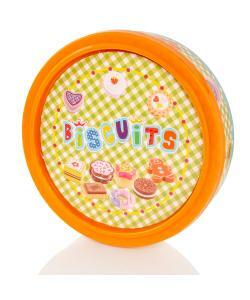 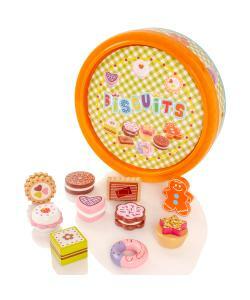 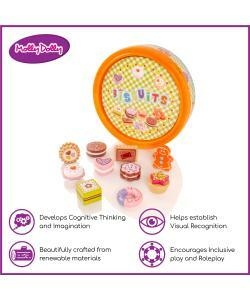 Children can hold their own afternoon tea party with this great set of 10 individual biscuits. 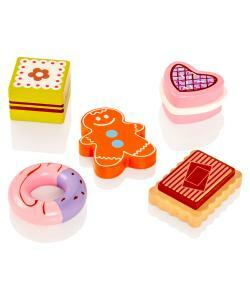 Each piece is delightfully painted to look very realistic.